After coming back from upstate New York and devouring that jar of Trader Joe’s tomato-less corn and chile salsa, I decided to recreate it myself since we don’t have a Trader Joe’s here in Toronto. I read the ingredients on the jar and realized there were only seven or eight ingredients. 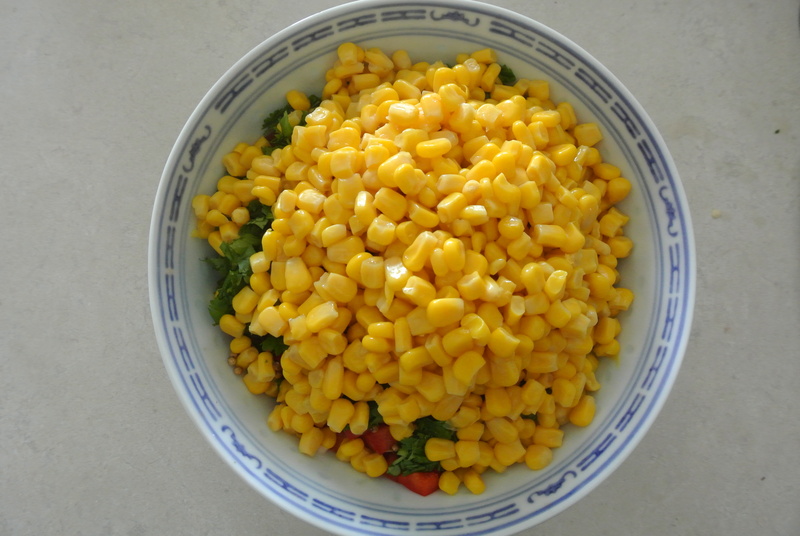 The vegetables in the corn salsa include: red onion, red peppers, coriander seeds, jalapeno and corn. 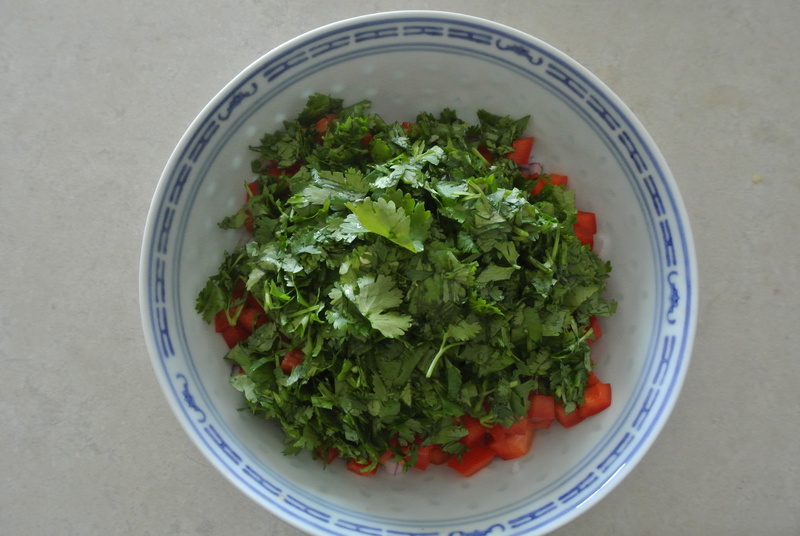 I love the flavour of fresh coriander so I added fresh coriander to intensify that flavour! 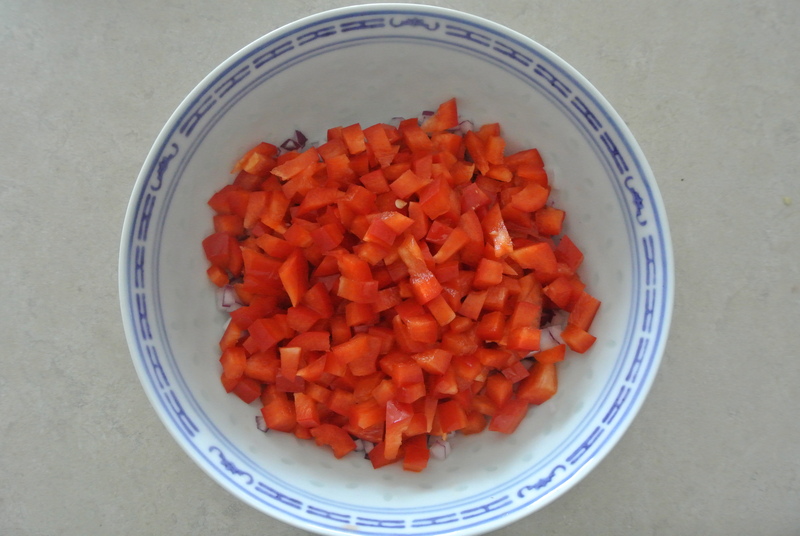 To season the salsa, I added white wine vinegar, salt, pepper, a few flakes of crush red pepper and my secret ingredient that adds a touch of sweetness, agave nectar – a natural substitute for white sugar. I don’t have any measurements since I was working off of the jar and my tasting palette but if you decide to give it a try, just adjust to your liking. 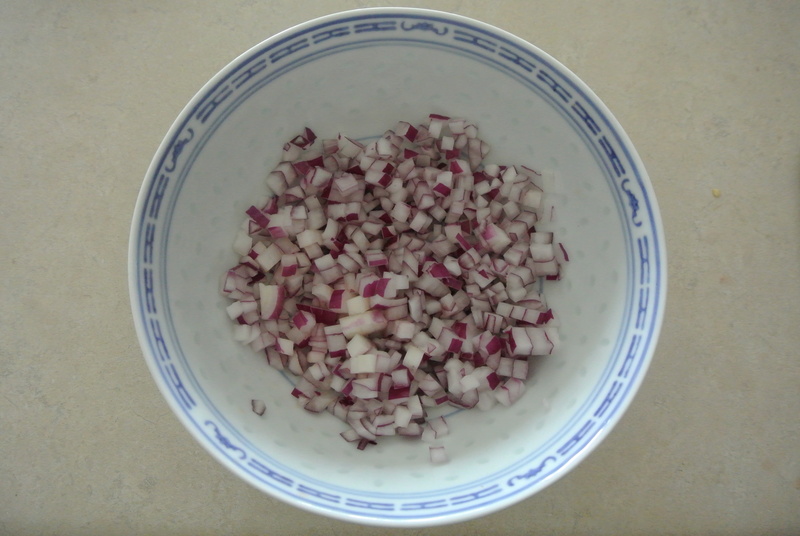 Enjoy with a bowl of tortilla chips! 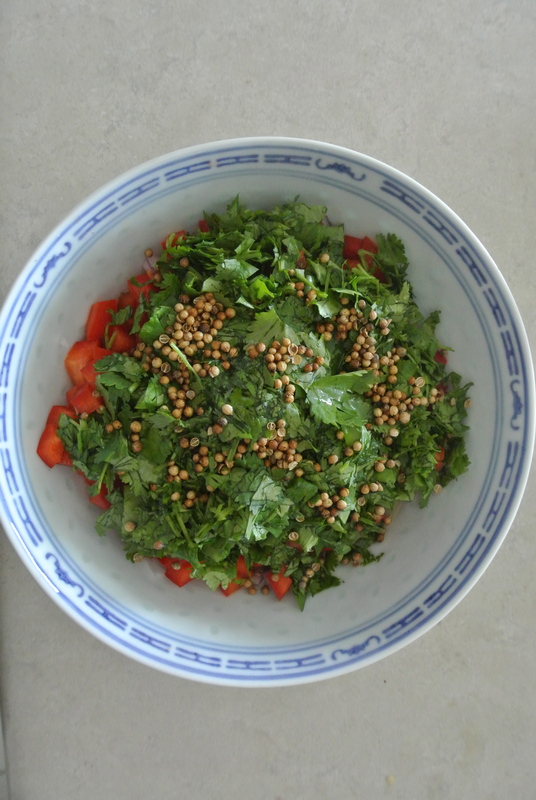 Adding seasoning – coriander seeds. 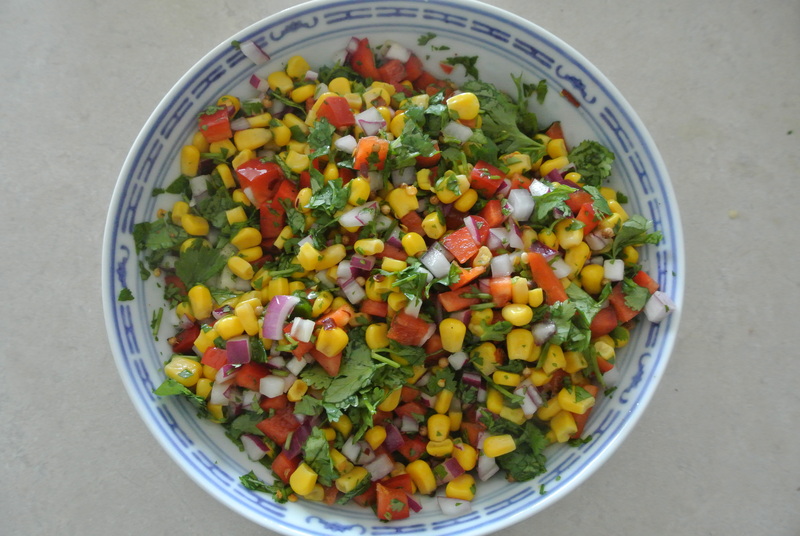 You can’t have corn salsa without the corn! 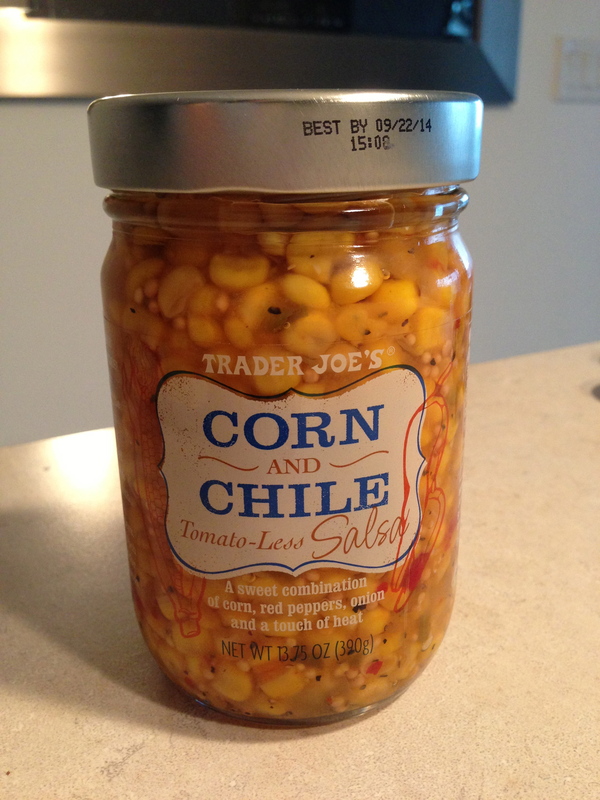 The real deal…..Trader Joe’s Corn and Chile Salsa!